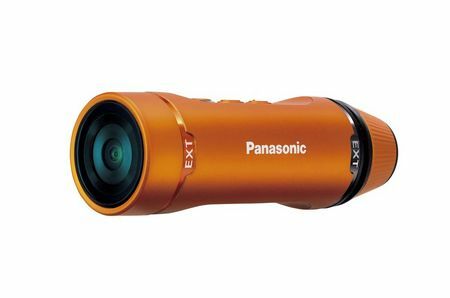 The Panasonic HX-A1 is an ultra-compact POV camera that records good Full 1080p HD videos and has the ability to do so anywhere you go. A full range of mounts let you use the camera in any situation on any number of items. Read more in our Full Conclusion. The Panasonic HX-A1 is an ultra-light action cam that is ready to go anywhere with you, hands free. Tough and versatile, the camera is dustproof, waterproof, freezeproof, and shockproof. This allows you to take it anywhere with you, no matter what your next adventure might entail, without any additional cases or enclosures. A variety of mounts and accessories provide plenty of options for wearing or mounting the camera for all activities. Although it does not have a screen, its WiFi capabilities allow you to use a smartphone or tablet as a monitor and remote control. It also has the ability to capture still images as well. The Panasonic HX-A1 is available in black or orange with a MSRP of US $199.99.